There are some people out there that have an unfair bias against sourced juice. Distilleries may source their bourbon due to the fact that they’re a startup and are waiting for their own bourbon to age, some may think of it as a prudent business decision, and some base their whole story of their bourbon around it. O.K.I. falls into that third category. They base their whole story around the fact that their bourbon was distilled in Indiana, bottled in Kentucky, and loved in Ohio. So that means this was distilled at MGPI in Lawrenceburg, Indiana. For those of you that don’t know, MGPI creates many of the bourbons you know and love already. From there, the bourbon takes a trip over to Newport, KY (which is a really fun place if you haven’t been). Newport is just a walk on the bridge over the river to Cincinnati, OH, where the bourbon is loved by many. This whickey also is a call back to a rich history of whiskey traders that were stationed in Cinci prior to prohibition. 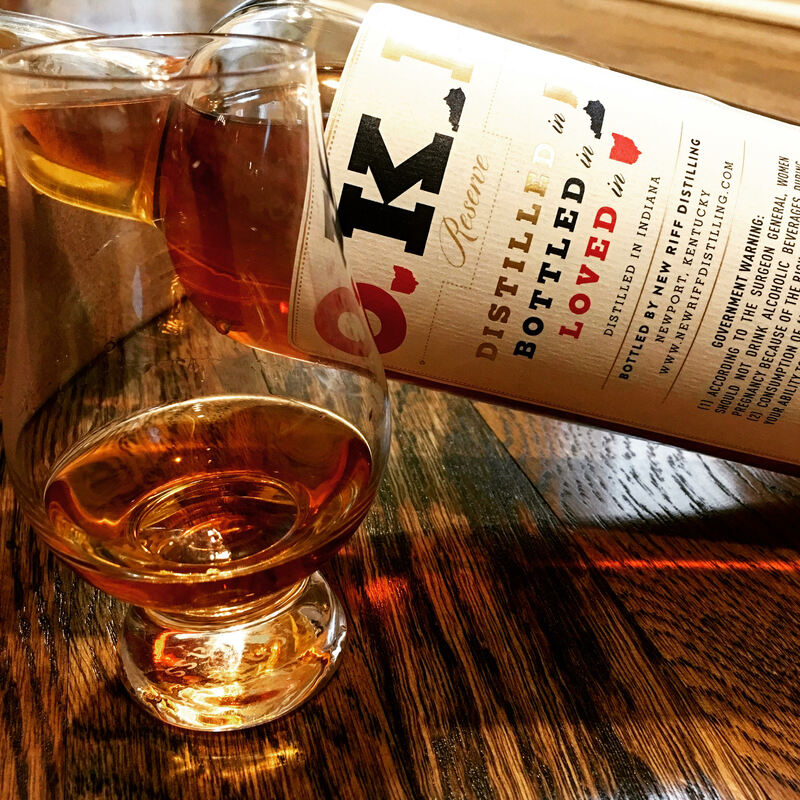 The O.K.I Reserve is a blend of 3 different bourbons each aged for 10 years. It boasts a hearty rye content of 35% which is something my nose can absolutely attest to. Rye and cloves dance through your nose as soon as you hold that glass up to smell! The taste is surprisingly smooth for such a high rye content. I can only assume it’s due to the 10 years of aging. You can feel the spice in your mouth and your throat, but it’s very enjoyable. I normally only like rye whiskey or high-rye bourbons in the winter, but I could drink this year round. The taste is rounded out with vanilla, spice, caramel, and oak. FYI – they say a splash of water opens this one up more. I’ll have to try it, but I don’t even think it’s needed. Dare I say I like this one better than another sourced bourbon that rhymes with bold bout?! Either way, it’s safe to say this one is loved in Tennessee as well! Overall Verdict: Buy it – Bourbon is all about experiences and stories, and this bottle has a story to tell.